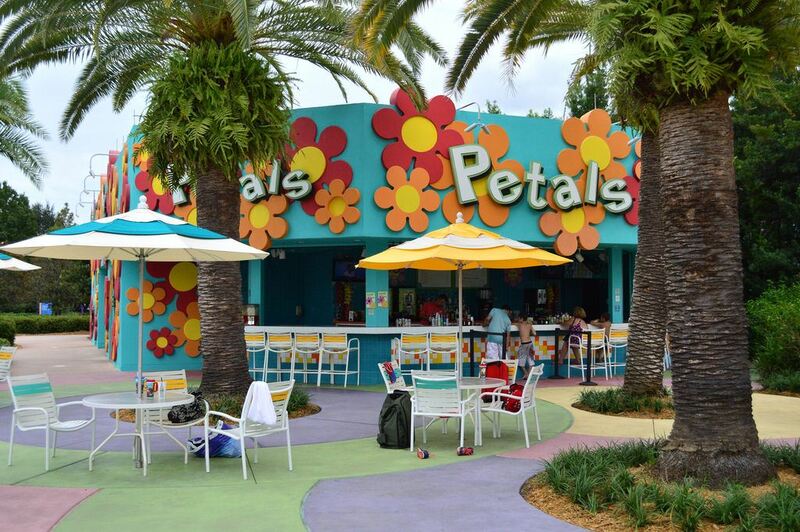 As with all of the Value category resorts, the only bar at Pop Century Resort is its pool bar, Petals. The bar is pleasant and it sits so that you have a view of the Hippy Dippy pool and the large buildings behind the pool that house hotel rooms. There are also quite a few palm trees scattered around the pool area that add to the tropical feel usually apparent from the intense humidity of central Florida. 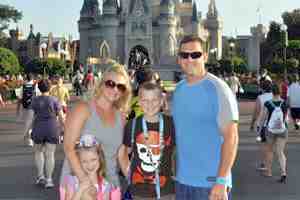 The menu is mostly selections from the standard Disney bar menu, but there are actually two special drinks found at Petals. 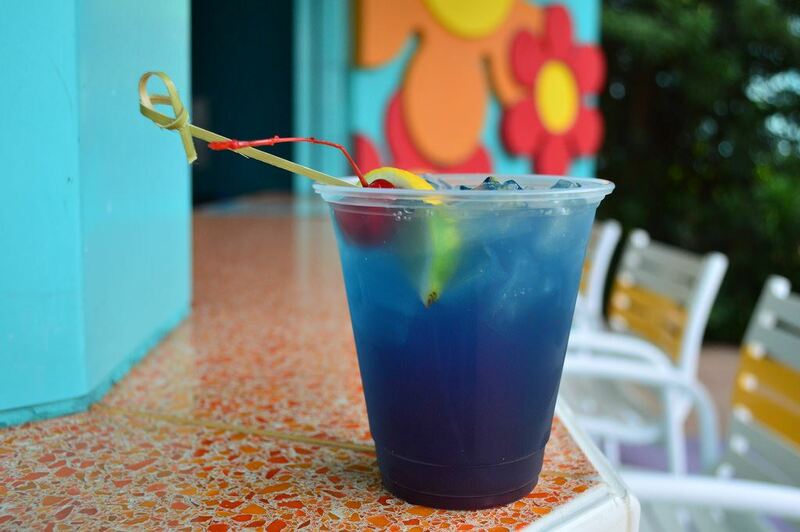 The Lava Lamp is made with lemon rum, blue Curacao, sweet and sour, and Sprite with grenadine drizzled in to replicate that groovy lava lamp look. The Hula Hoop is a mixture of coconut rum, melon liqueur, banana liqueur, grenadine, and pineapple juice.